CultureBank is mobilizing community cultural assets in order to achieve shared health and prosperity. Artists are building healthy communities! Youth Fellows and Tenderloin Healthy Corner Store Coalition. Photo Tommy Lau. CultureBank envisions a truly equitable world where community assets of all kinds are valued. What if we valued cultural traditions that create social cohesion along with financial resources when we thought of a community’s value? Sabereh Kashi, Home Yet Far Away Persian Tea House at YBCA Public Square. Photo Tommy Lau. We need a new system for community investment. And we know that artists and their enterprises have a demonstrated ability to work with and in community to illuminate hidden assets and spark the collective imagination—but they are significantly undervalued and undercapitalized. Artists and their unique enterprises are the key to a new system of community investment. Hunter Franks, The Thing That Makes The Thing at YBCA Public Square. Photo Tommy Lau. Invest in artists and their enterprises to cultivate hidden assets and spark collective imagination in order to generate community health and shared prosperity. The asset mix that capitalizes CultureBank includes all kinds of assets, from art to language skills, community safety, and more. Rather than “return on investment,” social impact brought about by cultural activities is valued and understood as ripples of investment. Keith Brower Brown, Vivian Sming, Eduardo Valadez Arenas, Sonic Uplift at YBCA Public Square. Photo Tommy Lau. CultureBank is completing a proof-of-concept phase focused on identifying artist entrepreneurs who are doing powerful work in communities of interest, and developing a knowledge base through artists’ stories. 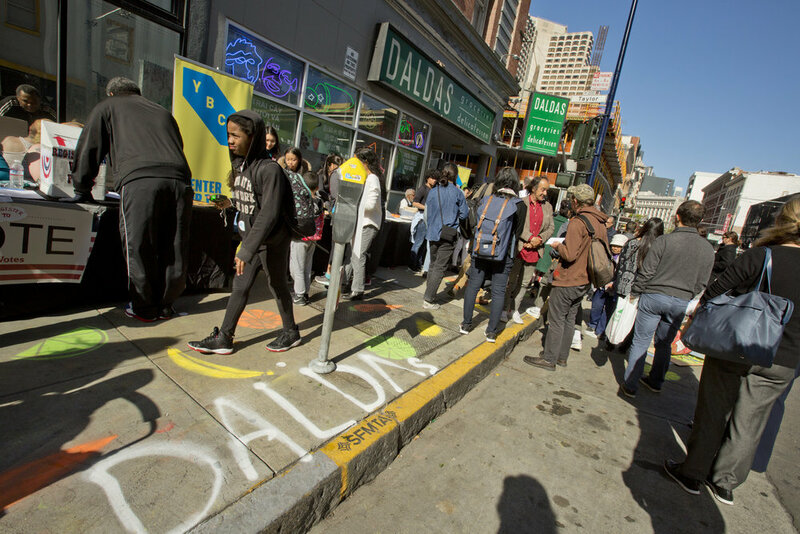 CultureBank has launched key partnerships in order to undertake demonstration projects and pilots in multiple communities of interest, including the San Francisco Bay Area and Dallas.